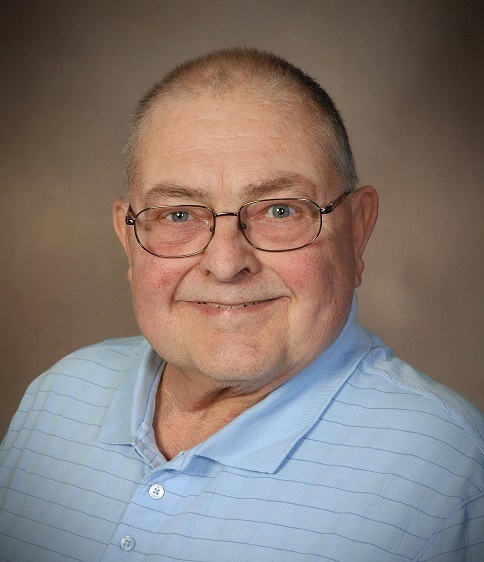 Christopher David Diehl, 73, of Boonsboro, Maryland, passed from this life on Friday, February 1, 2019 at Ravenwood Lutheran Village in Hagerstown, Maryland. He was the beloved husband of Bonnie K. Diehl for 53 years. They were married on June 26, 1965 at St John's United Church of Christ in Hollidaysburg, PA.
Born on June 15, 1945, in Altoona, PA he was the son of the late George R. and Pearl (Koontz) Diehl. Christopher graduated from Hollidaysburg Area Senior High School in 1963. He attended Penn State University. He completed his journeyman machinist trade with Landis Tool Company in Waynesboro, PA. where he specialized in the set-up and training for their numerical control machines. Christopher then went to work for Pangborn Corporation in Hagerstown, MD as a Facilities Manager. In 1980, he accepted a position as Facilities Manager at Fairchild Industries in Hagerstown, MD and later worked for Rohr Industries when they acquired Fairchild. He continued his employment with BF Goodrich when they acquired Rohr and he retired in 1998. Christopher was a 50 year member of Acacia Lodge # 586 F. & A.M. in Waynesboro, PA. He was also a 50 year member of the Valley of Harrisburg A.A.S.R and Zembo Temple Shriners, both in Harrisburg, PA. He was a 50 year member of the Elks Lodge #378 in Hagerstown, MD. Christopher was a 50 plus year member of Mechanics S.F.E.& Hose Co #1 in Waynesboro, PA and had served as president for many years. In addition, he was a member of the Central District Volunteer Fireman's Association, the Cumberland Valley Volunteer Fire Association and the Longmeadow Volunteer Fire Company. Christopher was a member of Benevola United Methodist Church in Boonsboro, MD where he had served as the financial secretary and sang in the choir. He was a member of the first class of Leadership Hagerstown and sat on the Washington County Water and Sewer Advisory Board, serving as Chairman and Vice-Chairman. He was also a member the Potomac Fish & Game Club in Williamsport, MD. In addition to his wife, he is survived by his daughter Jennifer D. Kinzer and husband, Tony; his son Jeffrey R. Diehl and his grandson Tracy D. Kinzer, all of Boonsboro, MD. He is also survived by his sisters, S. Grace Diehl of Hollidaysburg, PA and Kathleen D. Piper of Duncansville, PA; cousin Evalyn Bernhardt of Hollidaysburg, PA; mother-in-law Leanor C. Yingling of Hollidaysburg, PA; sister-in-law Janice D. Frazzini and husband Thomas of Export, PA; brother-in-law Steven M. Yingling and wife Deb of Lewistown, PA. He is also survived by numerous nieces, nephews and cousins. He is preceded in death by a son David W. Diehl, a daughter Marsha A. Diehl, a sister Hazel D. Walker and husband Robert; brother-in-law Robert W. Piper and father-in-law Homer T. Yingling. The family will receive friends from 6PM to 8PM on Wednesday, February 6, 2019 at Bast-Stauffer Funeral Home, 7606 Old National Pike, Boonsboro and Thursday, February 7th from 1-2PM where a funeral service will begin at 2PM. Reverend Cindy Caldwell will officiate. A Masonic Funeral Service will be held at 7pm on Wednesday, February 6th. Interment will be at Benevola United Methodist Church Cemetery in Boonsboro, Maryland. Memorial donations may be made to Benevola United Methodist Church, 19925 Benevola Church Road, Boonsboro, MD 21713.